Juventus made easy work of Young Boys tonight in Turin, beating the Swiss 3-0 at home. With Cristiano Ronaldo suspended for this game, it was up to Paulo Dybala to grab the spotlight and lead the Bianconeri to another win. 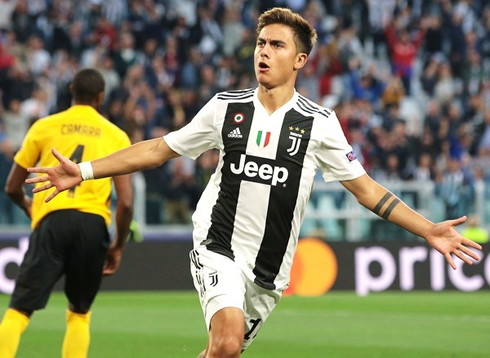 Juventus' triumphant saga is here to stay and the Vecchia Signora didn't sweat to beat Young Boys 2-0 earlier today in Turin, in their second fixture for this year's Champions League campaign. Cristiano Ronaldo watched the game from the stands following his 1-game ban earned 2 weeks ago against Valencia, but he must have been relieved to see that his teammates bossed the game and that Paulo Dybala managed to score a hat-trick. Juve are now on the top of Group H, with 6 points earned after 2 fixtures and their next match is against Manchester United at Old Trafford, on October 23. Ronaldo will already be eligible for that game so he won't miss his return to Manchester. 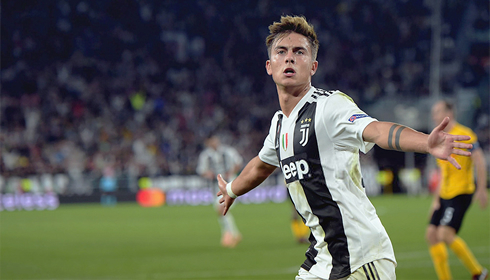 With Ronaldo out of the lineup due to the red card vs Valencia, Juventus took on BSC Young Boys hoping to continue their perfect start to the season. It's really been an exercise in excellent for Juventus this season, even if the product on the pitch hasn't been completely perfect, they've consistently managed to get results. That's nine wins in a row, their best ever start to a season and it's hard to see who will be stopping them anytime soon. This might be the best squad in Europe. 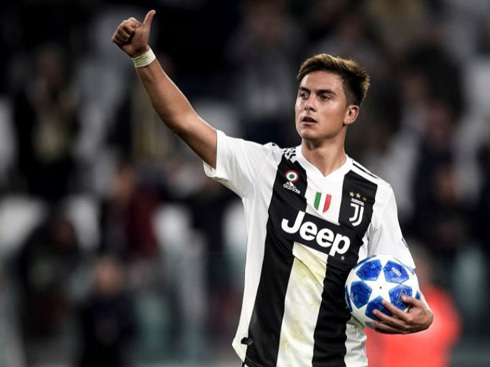 Of course, Paulo Dybala was well and truly the star of this game. The Argentine attacker was on another level to everyone on the pitch and his hattrick was well deserved. After what many saw as a poor start to the season, he's been flying in recent weeks and that only bodes well for the future. 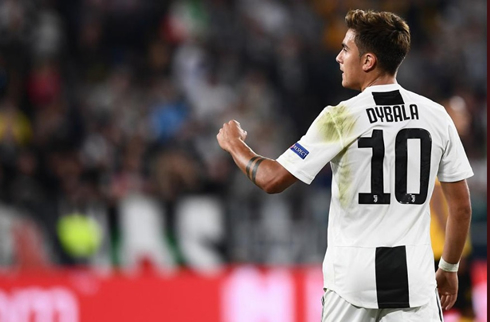 Dybala's first came just four and a half minutes into the game, as he latched onto a great over the top ball from Leo Bonucci. 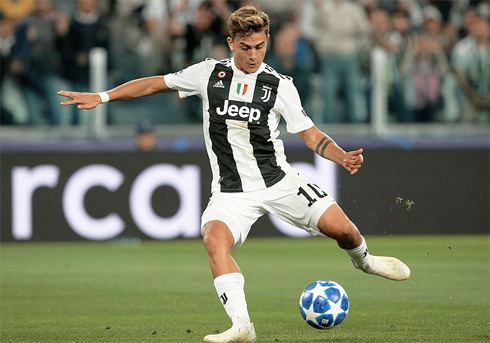 Dybala was easily able to finish into the corner of the net and Juventus were off and flying. 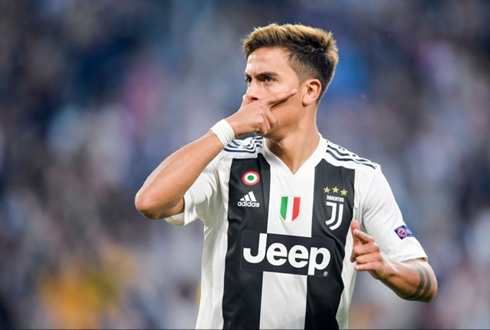 Dybala would create and finish off his second as well. Pushing forward from midfield, he was able to lay the ball off to Juan Cuadrado and the Colombian then centered to Blaise Matuidi. After his shot was saved, there was Dybala for the rebound. 2-0 for Juve! The third goal was just brilliant all around. Great team play around the box that culminated in Dybala's tap-in from a Cuadrado clearance. Truthfully, the score could have been even bigger, as Juventus looked very comfortable and the Swiss honestly could have had more players sent off for some rash challenges. Some other standouts from the match: Emre Can looked fantastic defensively, even if Young Boys aren't the strongest of oppositions. Barzagli and Bonnuci looked great together at the back and even the youngster Moise Kean showed promise in his minutes on the pitch. This would have been a great match for Ronaldo to get his Champions League career with Juventus underway, but he'll be back for the highly anticipated Manchester United matches in the coming matchdays. Cristiano Ronaldo next game for Juventus is on October 6 of 2018 against Udinese. You can watch Udinese vs Juventus, PSG vs Crvena Zvezda, Tottenham vs Barcelona, Napoli vs Liverpool, Qarabag vs Arsenal, and Borussia Dortmund vs AS Monaco, all matches provided from our live football game pages.